Last season, American Horror Story strayed into supernatural and campy horror with Coven, but the upcoming season, Freak Show, will be (mostly) grounded in the reality of 1950s Jupiter, Florida. Focusing on a “troupe of curiosities,” Freak Show will feature many historically well-known sideshow acts portrayed by new and returning stars: a two-headed woman (Sarah Paulson), a strong man (Michael Chiklis), a bearded lady (Kathy Bates), a fortune teller (Emma Roberts), and a man with lobster-like hands (Evan Peters) - among others. 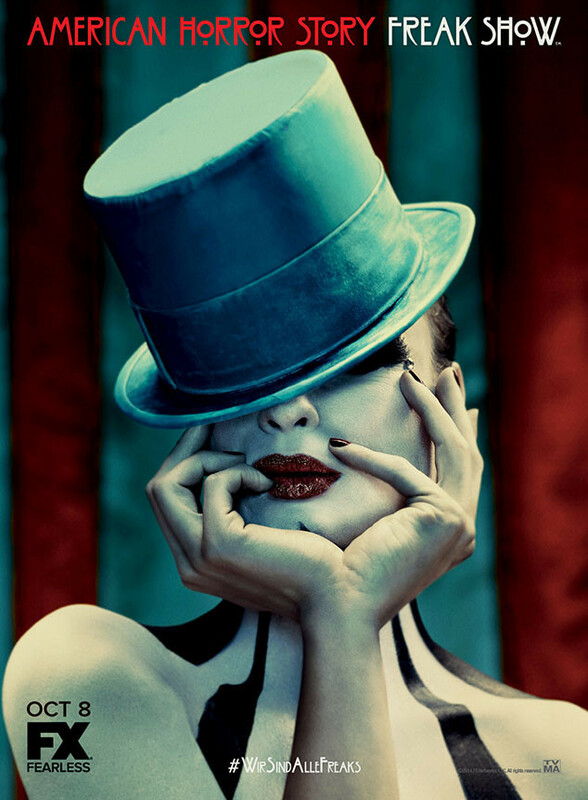 Though the cast poster focuses on all the characters in their Freak Show roles, the teasers for the latest season of American Horror Story have featured other sideshow acts that would fit in well at any carnival. The curiosities in these short teasers tend to lean more toward creepy than campy, setting a tone for Freak Show that differs from Coven. The possibilities of what the tough situation may be are nearly endless, as the list of conflicts on Freak Show seems to be extensive; there will be power struggles within the carnival as well as antagonism between the local residents and the entertainers. Additionally, though season 4 will be more realistic than season 3, co-creator Ryan Murphy told EW there will be a supernatural thread. One of the characters that may lean more toward supernatural is Wes Bentley’s Edward Mordrake. Based on a legend, Mordrake has two faces, one of which convinces people to commit evil crimes. According to Murphy, Mordrake’s appearance in Freak Show will somewhat resemble the legend of Bloody Mary. However, Mordrake isn’t the carnival’s only antagonist. Murphy also mentioned that Freak Show will explore (and play into) the common fear of clowns with the villain of the season: Twisty the Clown (played by John Carroll Lynch). Although American Horror Story has incorporated many different horror elements, characters, and storylines within its previous three seasons, the series hasn’t always executed these threads in a way that satisfies all of its viewers. Now, Freak Show appears to have just as much, if not more, going on. However, with Freak Show staying more in the (mostly) realistic world, the season may be governed by more rules than Coven, which used supernatural powers to bring characters back from the dead and travel into the afterlife. Perhaps eliminating the supernatural aspects in season 4 will help the show incorporate all of its moving parts while entertaining viewers - though we won’t know for sure until Freak Show premieres. American Horror Story: Freak Show premieres October 8th, 2014 @10pm on FX.